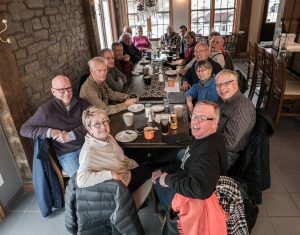 18 GPG members met at Arkell’s Union Market Café where we enjoyed their usual great espresso/coffee/tea plus their truly amazing freshly baked butter tarts! This was our largest turnout of members for an afternoon Espresso Gathering, including three new members. There were several very interesting discussions and even the Sun came out, if only briefly.